Hillary Atkin has written extensively on the television industry, media and entertainment for USA Today, the Los Angeles Times, Daily and Weekly Variety, The Hollywood Reporter, TelevisionWeek, Entertainment Weekly, The New York Observer and LA Confidential. She is an award-winning journalist who began her career as a television news writer, reporter and producer at Hubbard Broadcasting’s KOB-TV. As a broadcast producer at KCBS in Los Angeles, she won numerous Emmy, Associated Press and Golden Mike Awards for live coverage and entertainment special events programming, and then produced and directed biographies on Robert Duvall, Elizabeth Montgomery, Linda Darnell and Nicolas Cage for A&E and E! Entertainment Television. Ms. Atkin was an early adopter to digital media, as one of the founding committee members of the Writers Guild of America West’s website, where she wrote about the convergence of entertainment and technology. She was an active member of the guild’s committee on media and technology (CMAT) and two influential digital media organizations, LAwNMoweR (Los Angeles New Media Roundtable) and VIC (Venice Interactive Community). 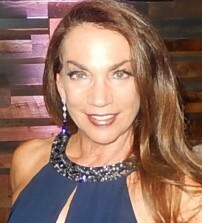 She is the editor and publisher of The Atkin Report (www.atkinreport.com), a website and blog that began as a subscription newsletter focusing on television, film, entertainment industry events, hospitality and other lifestyle topics growing out of her work at USA Today. She tweets @HillaryAtkin.